For the Libyan unit, see 101 Battalion (Libya). For other uses, see 101st Battalion (disambiguation). 101 Battalion (pronounced as one-o-one Battalion) was a quick-reaction unit of the South West African Territorial Force. The unit was formed in January 1976 as 1 Owambo Battalion, renamed to 35 Battalion in January 1978, 35 Battalion recruited exclusively among the Owambo. and were only given basic training, but this changed after 1978 when the training intensified with an emphasis on rural counterinsurgency operations. The South West Africa Territory Force, SWATF renumbered battalion numbers according to their geographical positioning on the border. The prefix 10 pertained to battalions operating to the west of the Kavango River, 20 to the Kavango or central region and 70 to the eastern region. Under this system, 35 Battalion was renamed 101 Battalion in 1980. Until 1980 101 battalion was used as small teams attached to SADF units as trackers and interpreters. By 1981 101 converted to a light infantry battalion. By 1983 at least 2700 men had been recruited and trained, many converted SWAPO insurgents. 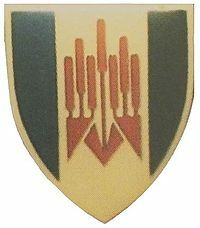 A significant development in 101's operations occurred during 1982 with the adaption of Koevoet tactics to a military context. The Reaction Force concept or Romeo Mike developed into two Special Service Companies (901 and 903) in 1984 and a further two (902 and 904) by 1985. Their purpose was to relentlessly track and surround exhausted insurgents. Once a track was detected, elements of a team would dismount from a Casspir and follow the track at a run with the remainder of the team rested and following in the Casspir, and swapping over with the runners frequently, thus sustaining a fast pursuit of the insurgents. When contact was made, the full team with Casspir would charge in. The Romeo Mikes’s other three Casspirs would be close of each other and would also react. 101 Battalions reaction force teams averaged about 200 contacts annually. By 1985 101 Battalion fought under its own command instead of being detached to external units. 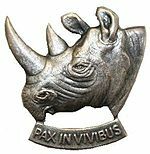 101 Battalion was disbanded on 30 June 1989 upon the independence of Namibia in 1990-91. 101 Battalion's Colours and Standard were finally laid up in the unit church of 5 Reconnaissance Regiment on 10 April 1990. ^ a b c d e f g h i j k l m n o p This person is marked on the Fort Klapperkop Memorial wall with an * as having died during operations or in combat. ^ a b c "Units of the South West African Territorial Force (SWATF)". sadf.info. Retrieved 8 November 2014. ^ a b c d e f g h i j k l m n o p q r s t u v w x y z aa ab ac ad ae af ag ah ai aj ak al am an ao ap aq ar as at au av aw ax ay az ba bb bc bd be bf bg bh bi bj bk bl bm bn bo bp bq br bs bt bu bv bw bx by bz ca cb cc cd ce cf cg ch ci cj ck cl cm cn co cp cq Dovey, John. "SA Roll of Honour:". justdone.co.za. Just Done Productions Publishing. Retrieved 6 November 2014. Snyman, PHR (1989). Beeld Van Die SWA Gebiedsmag (in Afrikaans). ISBN 9780621126426. Helmoed-Romer Heitman (Author), Paul Hannon (Illustrator), Modern African Wars (3): South-West Africa (Men-At-Arms Series, 242), Osprey Publishing (November 28, 1991) ISBN 1-85532-122-X. This page was last edited on 10 September 2018, at 09:28 (UTC).